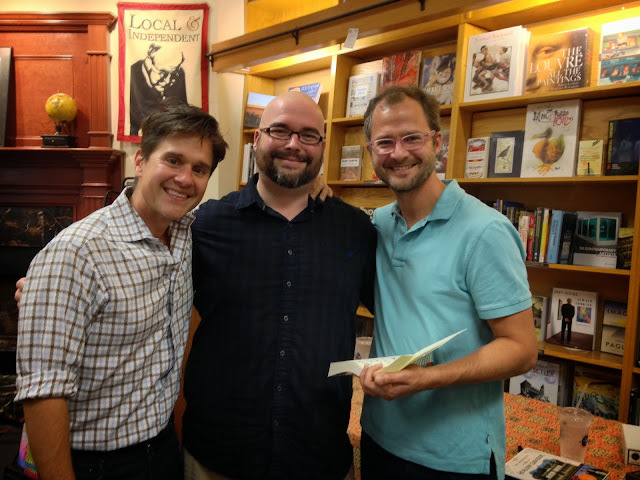 from my bookshelf: The Beekman Boys! That's me in the middle of a Beekman Boys sandwich, with Brent on the left and Josh on the right! 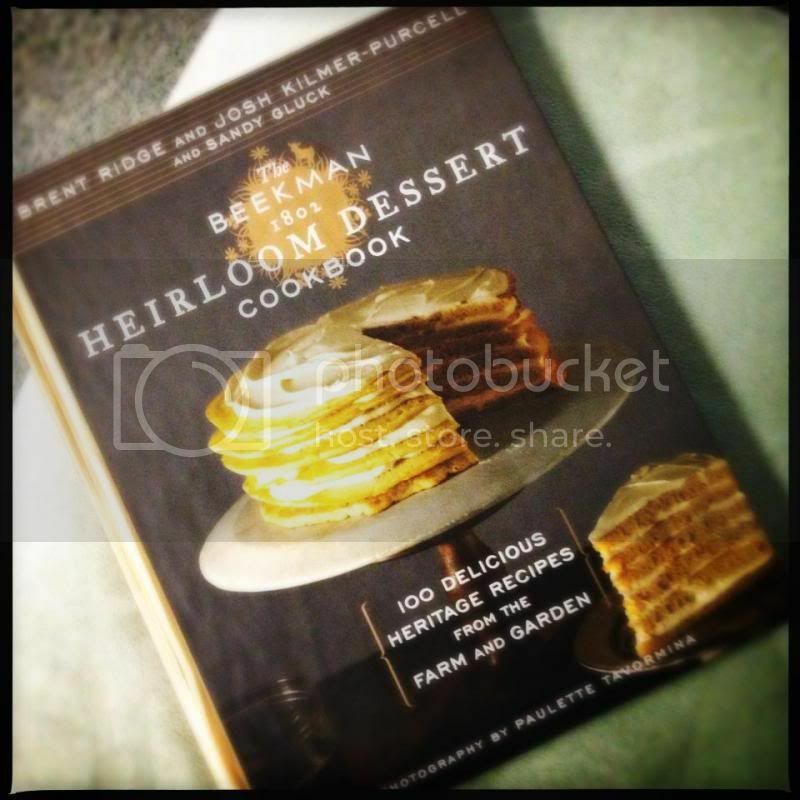 A couple weekends back, my local Indie hosted Brent Ridge and Josh Kilmer-Purcell, otherwise known as The Beekman Boys, for the release of their newest cookbook, The Beekman 1802 Heirloom Dessert Cookbook: 100 Delicious Heritage Recipes from the Farm and Garden. Brent and Josh are a really great pair and are fun to talk to. We had the largest group for their signing tour yet (around 150 people) and they really appreciated everybody being there for the signing. Josh also signed copies of his two memoirs (I Am Not Myself These Days: A Memoir and The Bucolic Plague: How Two Manhattanites Became Gentlemen Farmers: An Unconventional Memoir) and his novel (Candy Everybody Wants). The cookbook itself looks delicious and I can't wait to cook my way through it. In fact, there is a blog set up for that very purpose! Bake Like a Beekman will be selecting one recipe per week to create and share experiences with cooking the recipe with others in the group. Feel like learning to Bake Like a Beekman? Sign up and start baking! I was out of town for the first recipe (a Walnut Cake), but I hope to be joining in for this week's selection. If you ever have a chance to go meet Brent and Josh, do it! They are great guys.